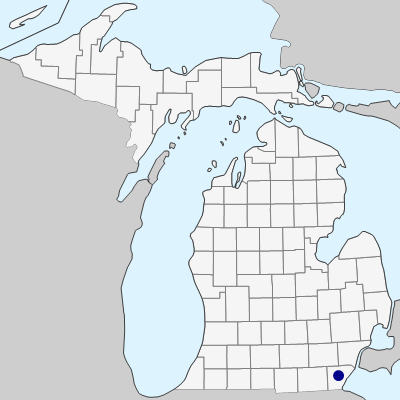 Michigan is at the northeastern extreme of the range of this species, which is also known from along the Maumee River in Wood Co., Ohio. It was collected in openings of shrub thickets on the upper banks of a stream near Erie, Monroe Co., in 1983 (A. A. Reznicek 7216, MICH, MSC). MICHIGAN FLORA ONLINE. A. A. Reznicek, E. G. Voss, & B. S. Walters. February 2011. University of Michigan. Web. April 21, 2019. https://michiganflora.net/species.aspx?id=1468.